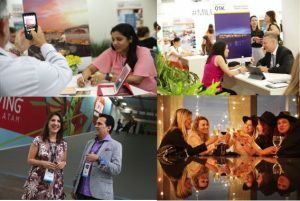 The first edition of ILTM Latin America in Sao Paulo last week welcomed some of the world’s most exciting luxury travel experiences, destinations and brands from over 65 countries, including 80 first time exhibitors. They met with hand-selected luxury travel buyers from 12 Latin American countries including from 20 cities in Brazil, 6 in Mexico and 4 across Colombia. Delegates at ILTM Latin America’s Opening Ceremony – themed ‘Future Gazing: The Future of Your Business in Latin America’ – heard from Latin American economic expert and author Marcus Troyjo and Latin luxury consumer expert Carlos Ferreirinha that as the region continues its economic growth, the numbers of high-end travellers from countries including Brazil, Argentina, Chile, Colombia, Mexico, Peru and Uruguay will continue to grow, as will the amount they will spend on arrival. The event was designed in a new, open and accessible format that was heralded a great success by buyers and exhibitors alike. 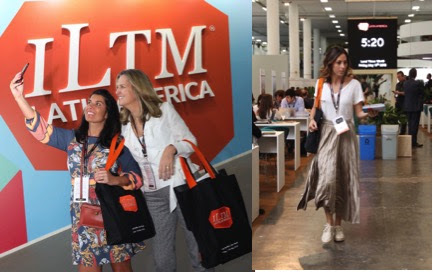 ILTM Latin America next takes place in Sao Paulo, 14 – 17 May 2019. For further information on this event and ILTM North America (taking place in Riviera Maya, Mexico, 24 – 27 September and selecting productive luxury travel buyers from Canada, Mexico and the US), see www.iltm.com.